*Times & locations subject to change based on special events. See our Calendar for more details. Our “Quiet Room” is the only one of its kind in a house of worship in the Tidewater area. Adjacent to Sinai Chapel, it has windows to view the Chapel as well as a connection to the Chapel sound system to listen to the ongoing service. 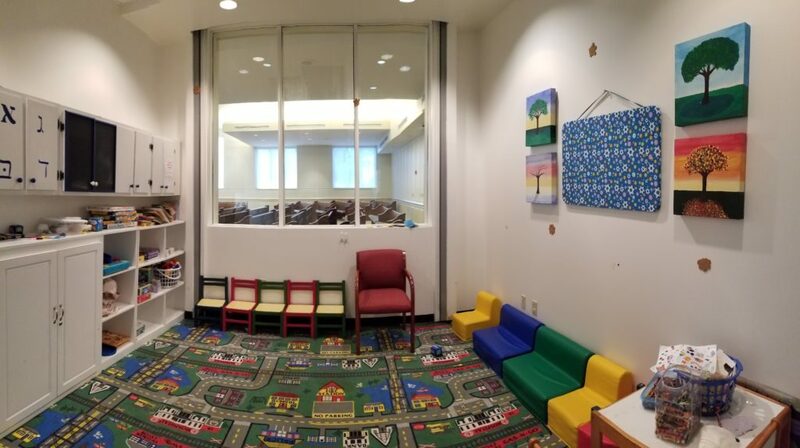 If children get “antsy” during service, parents can utilize the room, including its toys and activities, to keep their children occupied, while still enjoying the service. 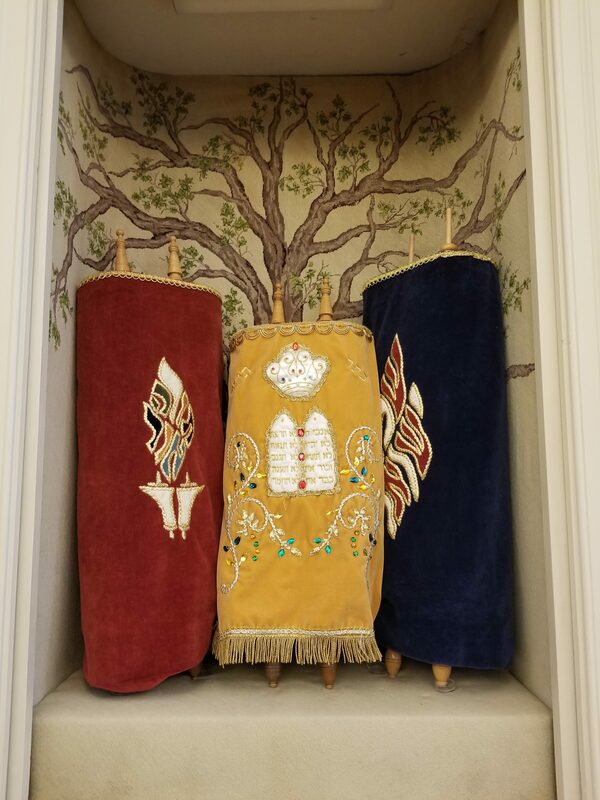 Throughout the 175 year history of Ohef Sholom Temple, music has occupied an honored and treasured place both in worship services and in special presentations. From the dedication service of the Sanctuary in 1918 and the congregation’s 150th anniversary in 1994, celebrated by the world premiere of a commissioned work by composer Richard Danielpour, to its 175th anniversary in 2018, special occasions have always been celebrated with music. 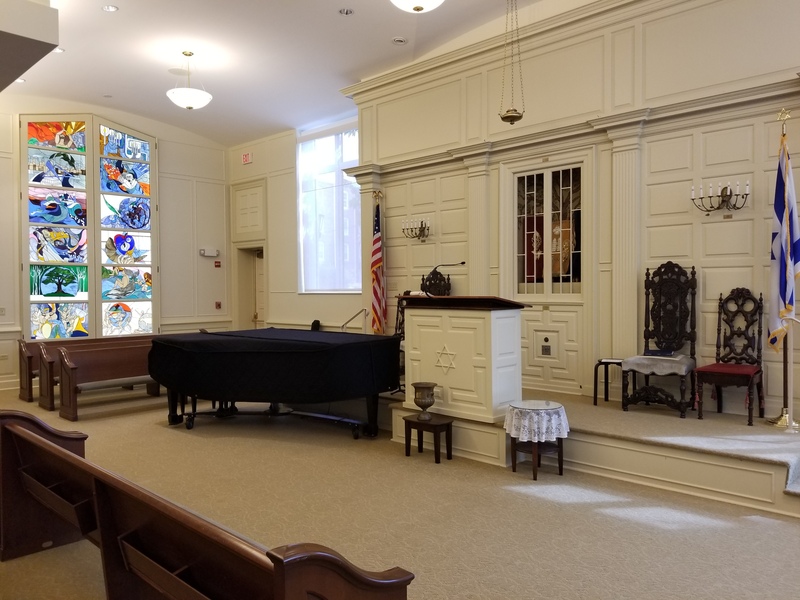 Cantor Jennifer Rueben is joined by music director Charles Woodward and members of the congregation to maintain and expand Ohef Sholom’s musical legacy. 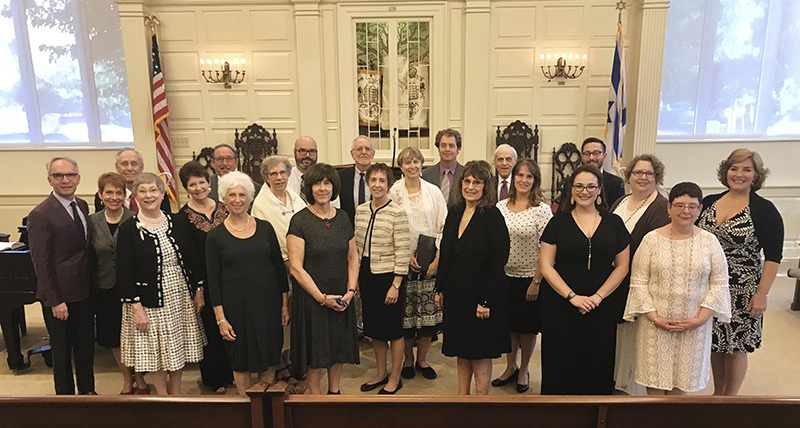 The Adult Choir participates with Cantor Rueben at Friday night Shabbat services every week, and is an integral part of our High Holy Days and Festival services. Additionally, the Choir presents special programs of Jewish music and participates in the biennial Virginia Jewish Choral Celebration. 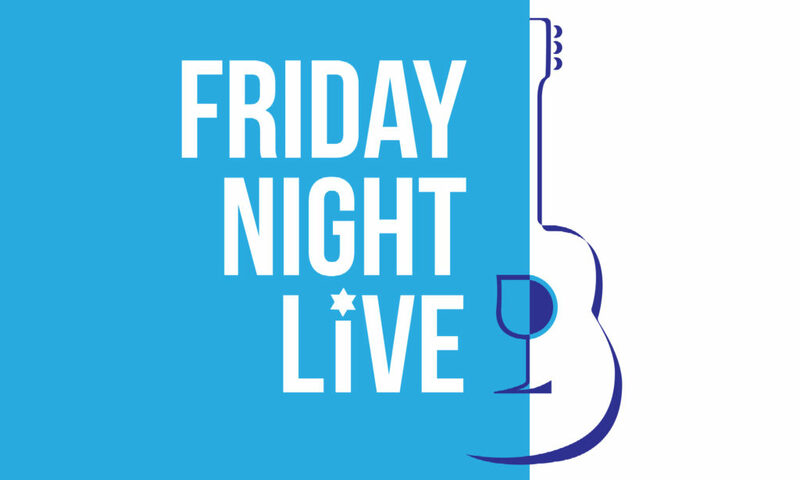 Friday Night Live, a 2018 service initiative of Cantor Rueben that features instrumentalists from the congregation, brings the best of contemporary Jewish liturgical music to the congregation. Ohef Sholom hosts musicians of area, national and international renown, both in services and in special program offerings. Conductor JoAnn Falletta and the Virginia Symphony, mezzo-soprano Robynne Redmon, singers from the Virginia Opera, instrumentalists from the Virginia Arts Festival, the Miami String Quartet, the Jerusalem String Quartet and Feldman Chamber Music Society, composers Richard Danielpour and Gerald Cohen, choral ensembles including the Virginia Chorale and Bellissima, and contemporary artists Nefesh Mountain and Rick Recht are among the musicians who have appeared at the temple. Join us for an uplifting, contemporary, especially-musical Shabbat service featuring our FNL band, followed by a catered oneg paired with delicious spirits. This event is open to members, friends, family and the greater community and we would LOVE to see you there! FNL is FREE OF CHARGE and made possible by funding from the United Jewish Federation of Tidewater and the Tidewater Jewish Foundation. This is a continuation of a four-event series. Mark your calendar for our future Friday Night Live events! Join us for special multi-generational Shabbat services on select Fridays. Shabbat for Everyone features a Pre-neg (snacks) followed by Shabbat services, a Shabbat dinner, and a teen social. Bring your children up to age 4 for our innovative program Wiggles & Giggles. We’ll explore our Jewish world through play, stories, music and movement. Snacks & drinks will be provided. Free & open to the community! If possible, please RSVP with the age & number of children so we may plan accordingly! Join us for special Friday services to celebrate Shabbat with a kid-friendly dinner along with a kids’ service, crafts, and other fun activities.